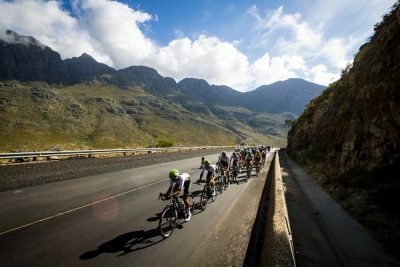 The Takealot Tour of Good Hope’s elevation to UCI status for 2019 will ensure that one of South Africa’s premier road tours is a drawcard for local and international competitors. It is the first time that the five-day race, which takes place in the Cape Winelands from March 4 to 8, will have UCI points up for grabs and Cycling SA general manager Mike Bradley believed it would benefit riders across the board. He said it was the national body’s aim to develop more UCI-classified races and they had, therefore, approached race organisers ASG Events to consider this option. With the documentation completed, the Tour of Good Hope has received UCI 2.2 status. It joins the only other event in South Africa with a similar ranking, the Tour de Limpopo. Bradley said their top priority was to create more opportunities for South African riders to earn UCI points. “Having these sorts of races is important, particularly at this time because from now until October it is Olympic qualification year,” he said. “That means the higher our riders rank internationally, the more we will have to qualify for the 2020 Olympics in Tokyo. “Having UCI status helps from a strategic point of view, allowing our riders to earn points in events close to home. “And then, even when they do have to travel, at least they have collected UCI points and this makes them contenders to be considered for Continental or Pro Continental outfits. Bradley said another benefit of having UCI status was the potential to attract strong foreign outfits. “International teams don’t look at anything that’s not UCI-rated,” he said. “I have already had some interest from teams abroad for the Tour of Good Hope and have put them in touch with the race organisers. He felt the Takealot Tour of Good Hope would grow and attract international riders, which would have a positive spin-off for local cycling. Besides overseas competition, Bradley said several African nations had shown an interest in riding the tour “and there are some very good riders in those teams”. He added that a 2.2 classification was the starting point for any race wanting international status and that the UCI prescribed a minimum prize fund. A 2.2 category, he said, accommodated club teams, regional teams, local professional outfits and Continental and Pro Continental teams. A unique element of the Tour of Good Hope is that it allows amateurs to compete in the same event as professionals, albeit in separate starting groups. Apart from the general classification for individuals, next year’s amateur race will have a strong focus on the overall team competition.